The Cheswold Police Department is offering a free security check of your residence while you are on vacation. We will conduct a foot patrol around the residence to make sure all windows and doors are locked and undamaged. We will also make sure any vehicles parked outside the residence are locked and undamaged. A detailed log listing the activity conducted on your property while you were away will be completed. In the event of a burglary police will notify you and/or the emergency contact you have listed. The Police Department cannot guarantee that we will be able to check your residence at specific times or dates, but we will make every effort to make as many checks on your residence as time and workload allow. 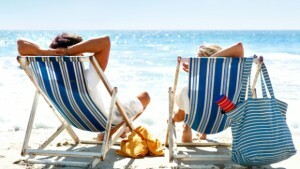 NOTE: Vacation checks are provided for a maximum of twenty-one (21) days. If you require more than you must submit that request to the Chief of Police in person. If you return home early from your vacation please notify the Police Department at (302) 734 -2202. Please complete the Vacation Check Form to notify the Police Department of your vacation, you can fax the form to (302) 734-1355, mail it to P.O. Box 220 Cheswold, DE 19936 or deliver it in person to 691 Main St, Cheswold, DE 19936 (Mon-Fri, between the hours of 830 am and 430 pm).The form is available in Adobe (.pdf) format for security purposes. If you are unable to open the form you can stop by the Cheswold Police Department or Town Hall and pick up a hard copy of the form.